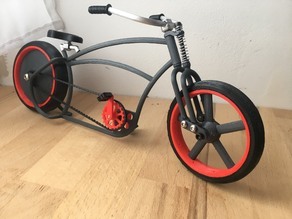 I printed this bike made by Champx in white and black PLA. Then I painted it with spray. I didn't use any screws, I printed all that I needed.